Furs: Where Do They Come From? I am often asked, “Where do your furs come from?” In our showroom it is difficult to give more than just a short answer. The long answer is, well long, but quite interesting and something few people know. Pelts come from two places, from the wild and from fur farms. The wild furs are from mostly colder climates such as Russia, Canada and the northern part of the USA. Fur farms are located also in the USA in places like Illinois and Utah but the majority of the furs from farms now come from Scandinavia. The governments of Norway and Denmark in particular have subsidized their farmers in order to grow a dominant market share position. USA mink is still considered to be the best but our lead is narrowing as other countries skills increase. All the furs are then sold through an old-fashion auction process. The major auction houses are located in Toronto, Copenhagen and Seattle. And it is this auction process that makes it so interesting. Regardless of the cost to raise or bring the furs to market, it is the supply and demand that determines the price. Today buyers come from many countries including China and Russia to buy these furs so it is a truly global marketplace. The furs are purchased by manufacturers, designers and retailers for the purpose of making new garments. Often the furs are sent for dying before they are received by the buyers. 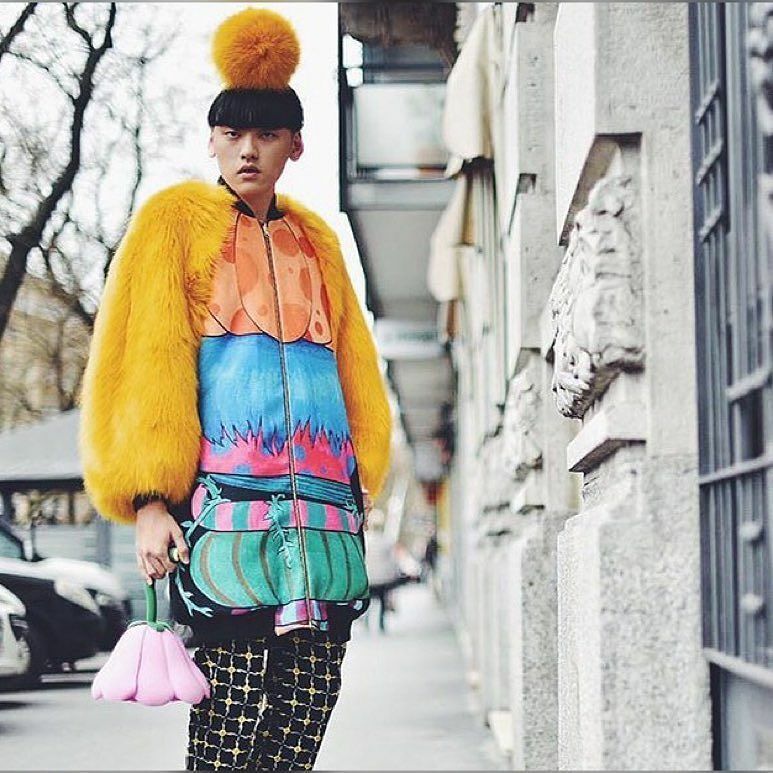 Today’s furs are sold in every color imaginable as color has been the new fashion trend. Meanwhile the fur designers are busy creating the designs that these furs will be made into. 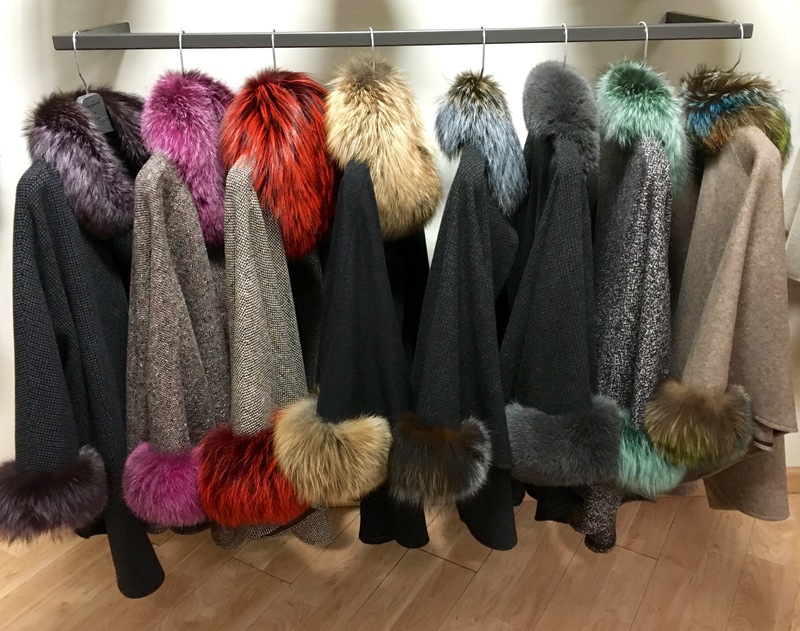 Many young designers learn from Saga Furs at their design facilities in Denmark. Here they learn and create the latest techniques in fur. Once the furs arrive at their manufacturing location they are made into final garment, hats, and accessories or used as trim on cloth items. Traditional manufacturing centers include New York, Montreal and Europe. In recent years more production is coming from the Far East. For example, this year we designed new cloth trimmed capes. First, we designed the style. To do so we made patterns and then created mock ups in canvas (material). Once we did that we could adjust the fit and the corresponding pattern. Next, we bought the fox pelts we needed for the trim, had them dyed to many fabulous colors and matched them with materials such as Loro Piano Cashmere and cashmere/wool blends. But now you know the back story so when you see these capes you know how they came together.